In the early spring of 2001 we received a phone call from Beverly Delich, manager for an unknown singer at the time, Michael Bublé. It was obvious from the get go that Michael was talented and charming but I don’t think any of us could have guessed what was in store for Michael. What began as a simple request for a website, grew into an exciting chapter in the history of SS Media Co, not only did we have a front row seat in the early development of Michael as an artist and entertainer we were a valued asset of Team Bublé. Working with Beverly & Michael was an absolute joy. From our initial meetings to launch of the first ever version of michaelbuble.com Beverly & Michael we’re both excited and supportive of all our concepts and ideas we presented. Over the course of those early years, Michael gave us complete freedom to design whatever we wanted. We developed two versions of his website, created the album artwork for his independent CD release titled “Dreams” and a promotional posted for his final concert in Vancouver before he left to record his debut album for Warner Bros, with David Foster. 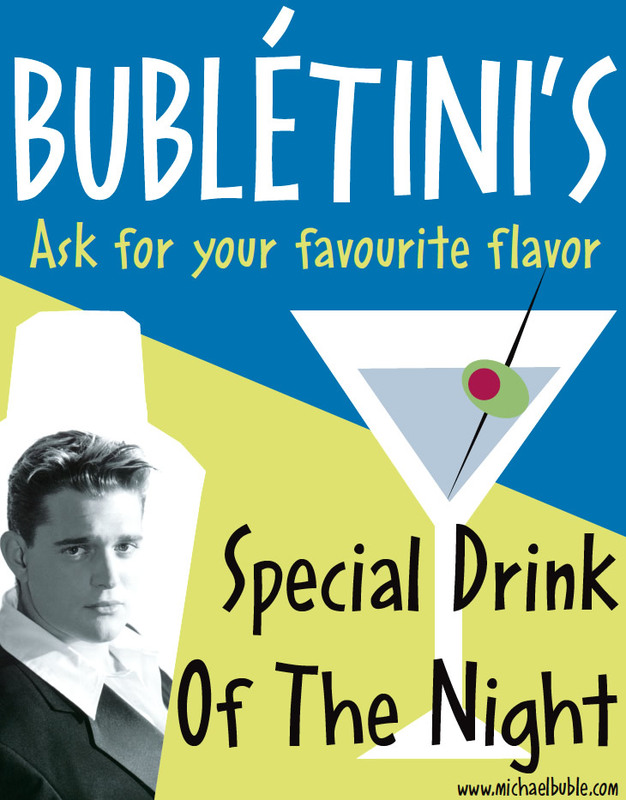 The Bublétini poster was created for Michael’s final Vancouver concert on November 11th, 2001 before he moved to Los Angeles to record his debut album with legendary producer David Foster. Autographed copies of his CD “Dream” were handed out to everyone in attendance at the show as thank you for all of the support from his hometown of Vancouver. 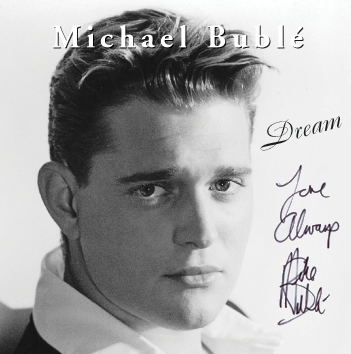 Excerpt In 1993, Beverly Delich discovered an 18-year-old singer named Michael Bublé in a Vancouver talent contest, became his manager, and moved with him to Toronto, and then L.A., as he tried to break into a tough, unforgiving business. This book is her vivid, behind-the-scenes story of the making of a modern-day superstar, from the early days when she and Bublé struggled to get bookings, to the giddiness of hobnobbing with musical royalty, to the pivotal and sometimes heartbreaking decisions that would take Bublé to the top and found Beverly on the sidelines. You can purchase Come Fly with Me: Michael Bublé’s Rise to Stardom, a Memoir by Beverly Delich from Amazon. I would like to recommend Scott & Shannon Smith of SS Media Co for any endeavor he wishes to pursue. 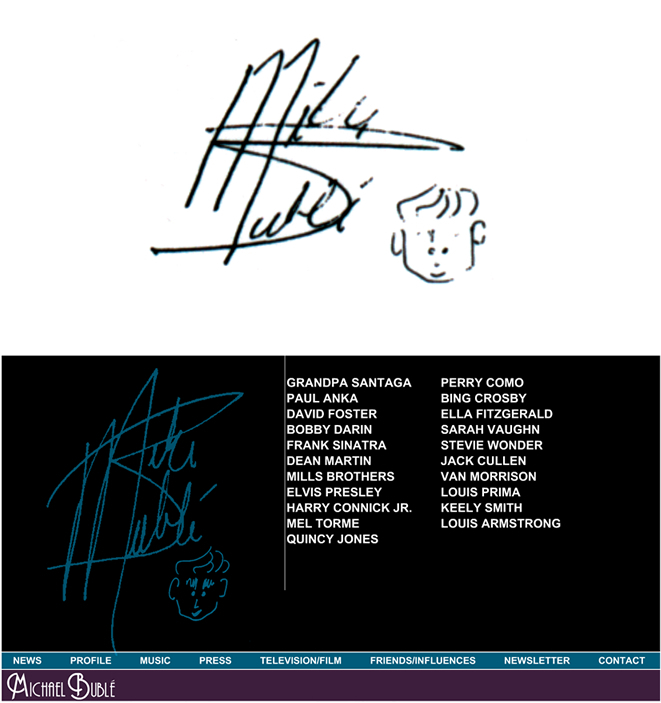 They were the original designers of the first website for Michael Bublé. We found them to be personable, efficient, creative and extremely patient. Even after Michael was signed to the Warner Brothers label, their design department kept Scott & Shannon on as private contractors to market/maintain Michael’s site. Over the years he has designed websites for several other artists I have worked with. They all were and still are pleased with Scott & Shannon’s services and attention to detail. They continue to recommend him to their friends and business associates. Once again, I would like to say that I hold Scott & Shannon Smith and their company in the highest of esteem and will continue to support them in any and all enterprises.